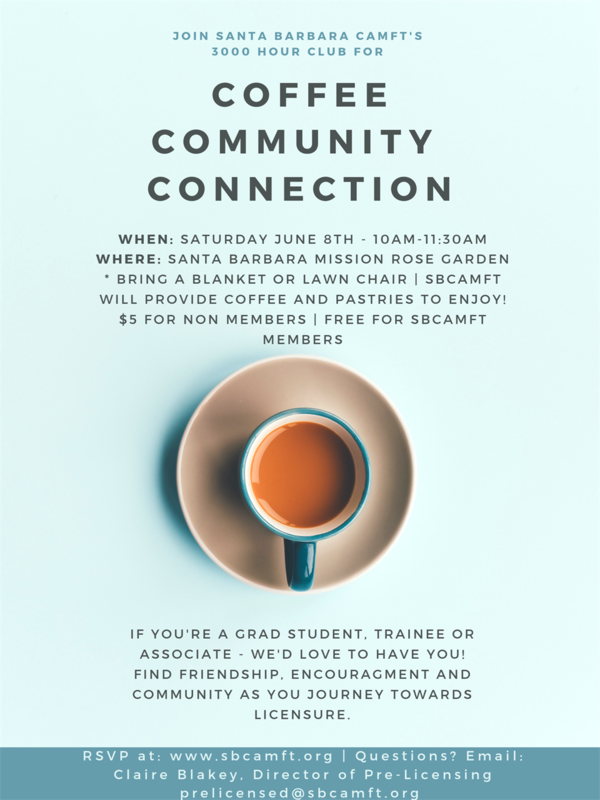 Join SBCAMFT's 3000 Hour Club for our summer meet up at the Santa Barbara Mission Rose Garden. Connect with fellow pre-licensed students, trainees and associates. Make new friends and connect with familiar ones, as we support one another along the road to licensure. *Please bring a blanket or lawn chair | SBCAMFT will provide coffee and pastries to enjoy!